While there's no question that slaying hordes of demons and looting heaps of shiny trinkets from their desecrated corpses is a ton of fun, sharing and talking about these experiences with other players on our forums and elsewhere on the web can be equally as entertaining. Many of you go beyond just sharing experiences, though; you offer advice, provoke thoughtful debate, and sometimes cause us to laugh our Hammer Jammers off. With so many different places to chat about Diablo online, though, it can be easy to miss some of these great conversations. So, to help you keep your finger on the pulse of the community, we've created The Waypoint! Rather than try to cover every great topic that comes up in the Diablo community, we'll be highlighting a handful of engaging player discussions each week. Then, we'll open up the floor to you, so that you can share your thoughts in the comments below. What discussions caught our eye over the past week? Let's find out! What Legendary Gems Would You Create? 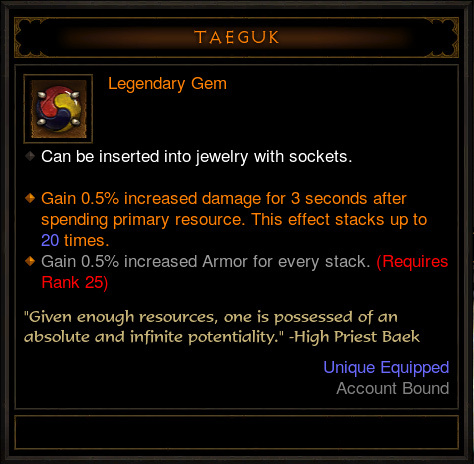 Gordon#1827 and Saidosha#1136 posed an interesting question on our official Diablo III forums: What type of Legendary Gem would you create if you could? We think this is not only a fun, creative exercise, but a great way to get valuable feedback on what kinds of Legendary Gems you’d like to see. 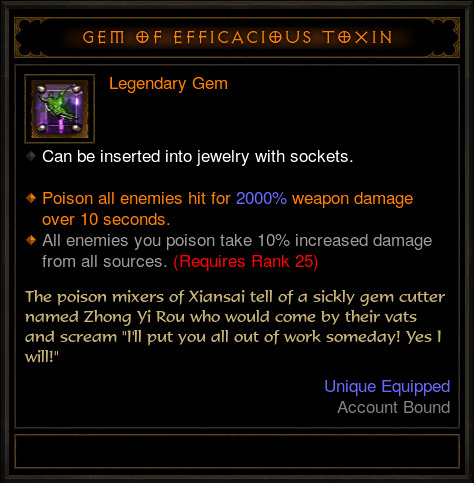 So, if you could create any type of Legendary Gem and add it to the game, what would it be? If you've ever wanted a handy guide for farming keys and/or organs to craft a Hellfire Ring or Hellfire Amulet, /u/thelehmanlip of Reddit Diablo has you covered. His "Concise Key and Organ Guide" breaks down all the essentials, including where each Keywarden spawns, what keys said Keywardens drop, the realms accessed from each Infernal Machine, and which organ pieces come from which bosses when defeated. Know of any other great Hellfire crafting guides? Share them in the comments below! 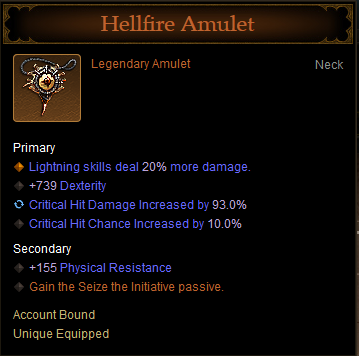 What Does Your Best Hellfire Amulet Look Like? 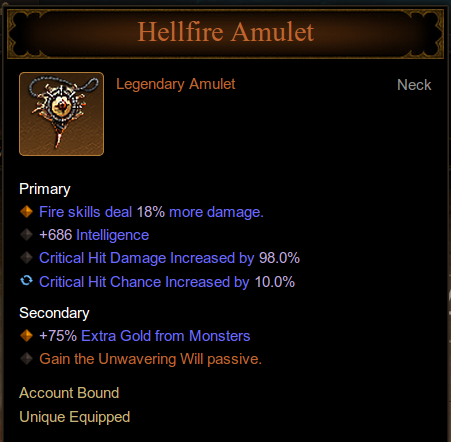 Speaking of the Hellfire Amulet, have you rolled a great one since patch 2.1.0 launched? That's what Redditor /u/podboi wants to know. Recently, he asked his fellow players to show off their best Hellfire Amulets (and has received some pretty amazing screenshots in response). But what about you? 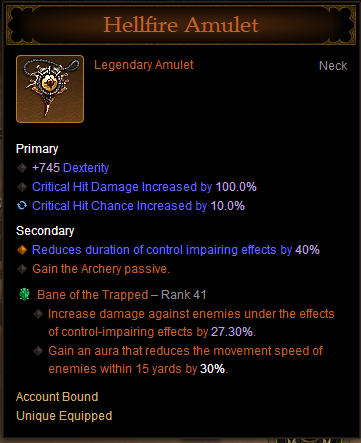 What does your current best Hellfire Amulet look like? Got an Idea for a New Community Buff? Haeos#1932 and WarMonkey#1467 have encouraged players in the official forums to put on their thinking caps and share some ideas for future community buffs. Haeos has done a wonderful job of compiling previous suggestions for buffs people would like to see, while WarMonkey#1467 is provoking new conversation around holiday-themed buffs. What are your three favorite ideas for new community buffs? Create your own, or show support for existing ideas included in the two threads above. In his helpful video "Bane of the Trapped Explained," YouTuber Meathead Mikhael explores what types of skills will trigger this Legendary Gem's effect, the other Legendary Gems that complement it well, and how it works in action. There have been a lot of questions on the forums about how these powerful new gems work, so this video guide is certainly appreciated. Have you all seen other great guides on Legendary Gems? Which are the best? Conclusion: Share Your Best Threads! We could easily fill up another column with our favorite discussions, but we’d rather hear what your favorites are instead. Who helped you with a tough gearing question this week? Who posted a constructive thread, or collected a lot of cool info to share with everyone? Send us a link to a thread, article, tweet, or video that caught your attention (along a brief explanation of why you think it should be included in our next column) to tyvalir@blizzard.com! That wraps up the inaugural Waypoint. We'll see you next week!